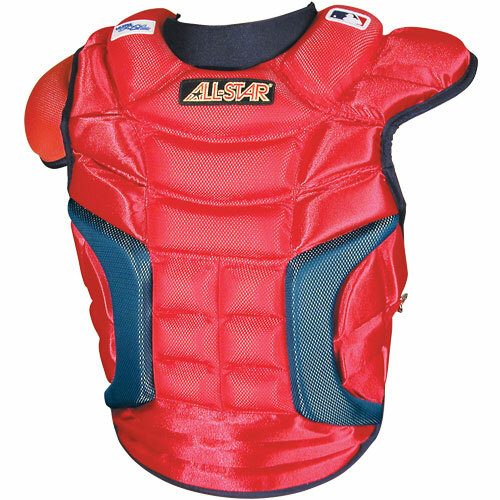 Exclusive collar bone protection with curved shoulder stabilizers, exclusive GTF padding system, low rebound multi-layered foam with front sternum plates, anatomically designed rib patterns, 5 point adjustable harness, adjustable removable right shoulder cap, heavyweight nylon/polyester cover and vent holes to keep players cool. 16-1/2" Length. Please specify color.